I can't believe we're already halfway through December. With the holiday party season upon us, we can always use some ideas on how to glam it up in unique ways. 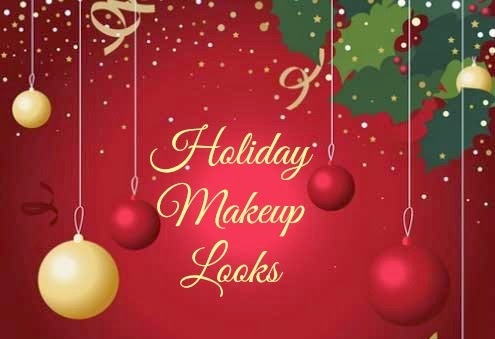 To help us think up some fun holiday looks, Tanya over at Leopard Lace and Cheesecake asked me to join her on a blogger collaboration featuring holiday makeup looks. Also joining us is Cyndi from CDel Beauty, Lily from Beauty with Lily, and Elle from ElleSees. The theme of this collab of holiday makeup looks based around the color scheme we chose for our eye looks. 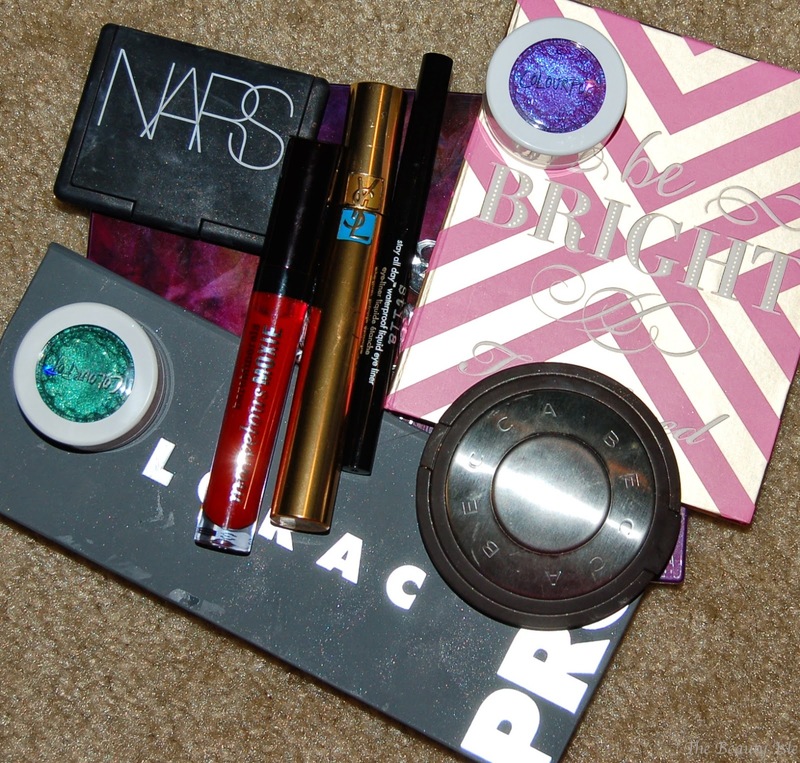 The eye shadow colors I chose were in the turquoise/green family. I recently went to a fancy party and was able to use this color combo so here's the look I came up with. p.s. clearly I took this photo before running some eyebrow gel through those unruly brows so excuse that! 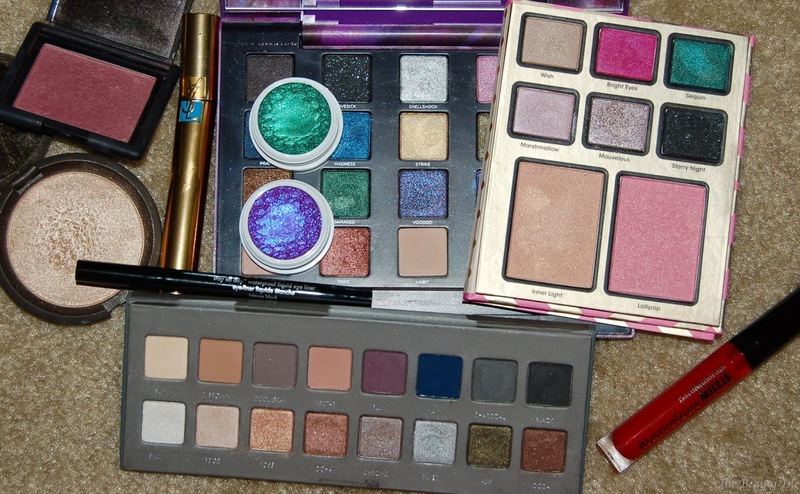 Jewel toned shadows are my absolute favorite to do glamorous smokey eye looks with. The Colour Pop shadows are amazing for gorgeous intense shimmery color (review HERE). I'd like to thank Tanya for inviting me to do this fun collab. Please be sure to check out the looks that the other ladies have created! What is your favorite holiday party look?